The Moto Z and Moto Z Force on Verizon are available for pre-order today. It turns out they're quite a bit more expensive than Motorola's last flagship phone, and there are the pricey Moto Mods too. Best Buy has a pretty sweet deal today, though. You can get $200 off a Moto Z and a free speaker mod. Importantly, this deal only applies to buying the phone on a payment plan or on contract (third-party retailers can still do that on Verizon). 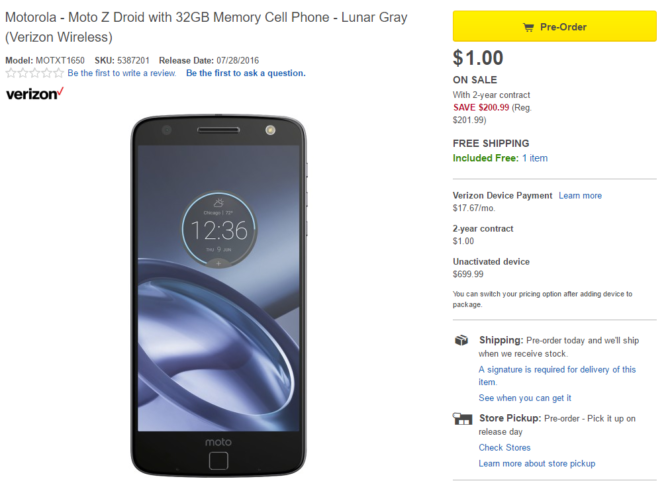 The Moto Z from Verizon would run you $26 per month, but Best Buy can do $17.67 per month. That works out to $200 less over two years. On contract, you pay $1 instead of $200. The Moto Z Force from Verizon is $30 but from Best Buy it's $21.83. Again, that's $200 less over two years. The $99.99 contract price is $200 off as well. When you pre-order from Best Buy, you also get the JBL SoundBoost Mod. That usually costs $79.99. So, you're basically getting $280 off the whole package at Best Buy. That's a surprisingly good deal for a phone that isn't even out yet. 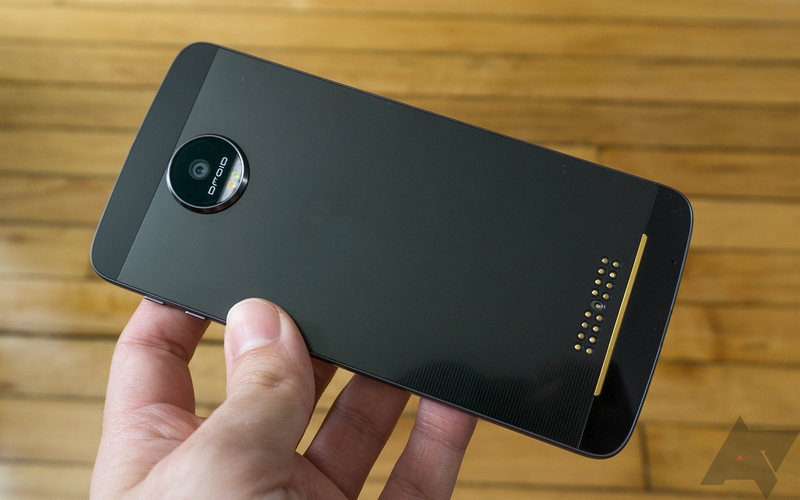 The Moto Z phones should ship on or around July 28th.